We ship items out as soon as possible, but this will not always be the same day as your order. In general, please add 2-3 business days to allow for processing time. If we anticipate a longer lead time, it will be noted in the item description. If you have any questions about the lead time on a specific item, please contact us at support@fouani.com with your questions. FOUANI does ship to specific Nigerian cities ( Lagos-Abuja-Kano-Asaba-Jos-Ibadan-Portharcourt-Benin). Please note that you, the buyer, are NOT responsible for any VAT, tariff, duty, taxes, handling fees, etc. Note: We do not ship internationally. Buy more than N40,000 and get FREE delivery to any of the listed cities. All items with a value of more than N1,000 are shipped signature required; please plan accordingly. FOUANI NIGERIA LIMITED will be closed on public holidays and Sundays. Orders will not be shipped on those days, but you can still order through the website as usual. Satisfaction is assured with your choice of a Hisense product. In order to obtain maximum benefits from your product, please read the following terms and conditions of your warranty. 1.Proof of purchase is required before you can make a claim under this warranty; you must provide both your original purchase receipt and your warranty card to obtain full benefits. 2.The product bought from Fouani Nigeria Ltd. shall have a one ( 1) years warranty from the date of purchase. (b)The Appliance is modified without authority from Fouani Nigeria Ltd. in writing. (c)The Appliance serial number or warranty seal has been removed or defaced. (d) The Appliance has been serviced or repaired by anyone other than Fouani Nigeria Ltd. or its Authorized Services Centers. 3.Physical damage to the unit during transit from the store, after purchase of the product (i.e. Out of the physical place of purchase). 4.The relocation or reinstallation and set up of the product. 5.Gas charging for Air conditioners and Refrigerators. 6.Damage to the unit due to insufficient, unsuitable or inadequate packaging or care. 7.The travelling and transport costs;if the product is situated outside cities that Fouani Nigeria Ltd. service center is available. 8.If the warranty card is altered, defaced or erased in any manner whatsoever. 9.. Filter cleaning Service for Air Conditioners. 10 . This warranty, the contract to which it relates and the relationship between you and Fouani Nigeria Ltd. are governed by the law applicable in Nigeria where the Appliance was purchased. 2. Fouani Nigeria Ltd. reserves the right to charge a service fee out of warranty repair/service of any nature and shall not be deemed liable if the conditions are not met. LG Electronics, since 1st July, 2012, is providing warranty on its product for a period of Twenty-Four (24) months or Two (2)years in respect of service On all LG Products in Nigeria. The Sales Receipt or Purchase Invoice showing the date of purchase of the Product is the proof of date of Purchase. Customers may be asked to furnish proof of ownership and date of purchase by showing sales receipt/purchase invoice. LG reserves the right to refuse warranty service if this information has been removed or modified after the original purchase of the Product. NOTE: Servicing will be provided free of charge during the normal business hours and under safety conditions and circumstances for the period specified above from the date of purchase. If, during the warranty period, this product fails to operate under normal use, the customer should return back the unit to LG Electronics Authorized Distributors or Service Partners, in the country/region where the product has been purchased from, or to the nearest contact points (pick up & drop off) mentioned by the Authorized Distributor. For more information regarding the Authorized Service Center or contact points, please refer to the Customer Service contact point mentioned in the warranty card. 1.The proof of date of Purchase is the Sales Receipt or Purchase Invoice showing the date of purchase of the Product. Customers may be asked to furnish proof of ownership and date of purchase by showing sales receipt/purchase invoice. LG reserves the right to refuse warranty service if this information has been removed or modified after the purchase of the Product. 2.The warranty does not cover product failures caused by installations, modifications, or repair or opening of a product performed by a non-LG Authorized person. 3.The warranty does not cover product failures that have been caused by use of accessories or other peripheral devices which are not LG branded original accessories intended for use with the product. 4.If LG Electronics repairs or replaces the product, the repaired or replaced product shall be warranted for the remaining time of the original warranty period or for ninety (90) days from date of repair, whichever is longer. 1.Period Checks, maintenance, repair and replacement of parts due to normal wear and tear, corrosion, rust, stains, scratches, dents on the body or casing or paintwork of the appliance. 2.Damage or malfunction caused by improper or incorrect installation, poor or inadequate maintenance, or use or operation of the appliance otherwise than in accordance with the manufacturer’s instructions. 3.Damage or malfunction caused by the act or acts of any person or persons intentional or otherwise, including but not limited to misuse or mishandling, fire or any natural disasters. 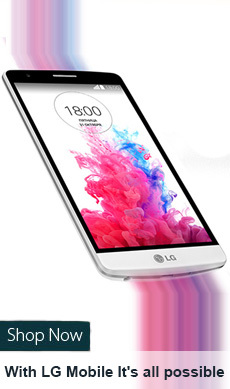 4.Un-authorized modifications carried out for the product to comply with local or national technical standards in countries for which the LG product was not originally designed. 5.Any Damage caused by excessive use, overcharging or failure to use in accordance with the specific instructions of care outlined in the product manual. 6.Defects or fault in appliances which have been used for commercial purposes or which have been rented/ leased or which have been otherwise subject to other than household use. 7.The model, serial/IMEI No. and product number on the product has been altered, deleted, removed or made illegible. 8.Tampering of appliance or undergoing repair, adjustment or servicing by persons other than those authorized by LG Electronics. 9.Any damage to property arising or in connection with the use of appliance or any malfunction or defect in the appliance. 10. LG recommends that separate permanent written records be kept of all important data. Data may be lost or altered in virtually any electronic memory product under certain circumstances. Therefore, LG assumes no responsibility for data lost rendered unusable whether as a result of improper use, repairs, defects, battery replacement, use after the specified battery life has expired, or any other cause. - What does 24 months (2 years) warranty period imply? LG Electronics has increased its warranty period since 1st July, 2012 from 12 months (1 year) to 24 months (2 years) in African Subcontinent. Warranty is limited to the country/region where the product has been purchased from. Please refer to warranty terms and conditions. - On what products do I get a 24 month (2 years) warranty? LG Electronics is giving a 24 month (2 years) warranty on all its consumer electronic products in the African Subcontinent since 1st July, 2012. - When does the 24 months (2 years) warranty apply from? 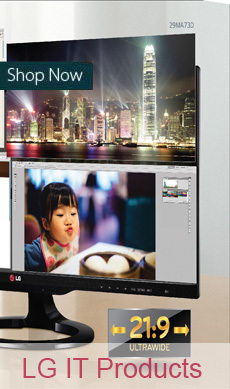 LG Electronics has started giving 24 months (2 years) warranty since 1st July, 2012. Customer who have purchased LG products until 30th June, 2012 are not liable for 24 months warranty period. Customer who purchase LG products from 1st July, 2012 are entitled for 24 months (2 years) warranty period. - Can I exercise this warranty outside my country or outside Africa? The 24 months (2 years) warranty period is limited to the country of purchase and cannot be transferred or claimed outside of that country. - How can I make a claim on this new warranty condition? A valid Proof of Purchase (Sales Receipt or Purchase Invoice) issued at the point of sale, is the main prerequisite for making a warranty claim. For further information or for more clarifications, please contact the nearest authorized LG Service center. You have the right in a number of countries to ask companies (such as Fouani) to provide you with all the information it stores on you. Certain national laws may require you to pay a small charge for this activity. You may also have your personal information deleted, corrected or revised by sending an e-mail tosupport@fouani.com.